You know those financial tasks that a lot of us put off - especially when we’re independent contractors or small business owners? Or if we’re correctly investing in our business? And the money tasks that we kinda sorta know about, but in the back of our minds have ongoing anxiety about? Well, today’s guest is here to not only talk us through the behind-the-scenes business aspects of our companies, but to take that stress out of our lives for good. YAY! Plus, because she’s so fabulous, gives us marketing gold along the way. I’m talking about the lovely Laurel Mintz, ladies and gentlemen! Laurel founded Elevate My Brand as a creative marketing company in 2009, where she leads in digital marketing and event planning, producing and promoting high-profile events on the reg. She also has her own column called ‘On Brand’ in Inc. Magazine and a law degree where she worked closely with intellectual property and corporate transactions. Laurel has truly seen marketing and business from all angles. If you’re looking for an episode on how to #adult and really take reign of your business, I’ve got a treat in store for you today. We dive deep into using dollars wisely, what to do when starting out (with or without a budget), legal advice, and the pay-to-play culture we’re living in. Laurel talks us through the baby-to-big steps we must take to set up a smart business model - and how to market ourselves in a way to make our money count. There’s no better time to take control of your money than now. Whether that means hiring a bookkeeper or finding an online system to manage yourself, do something today to get organized financially. Talk to someone who has done what you want to do and ask questions. Get an advisory board for financial inquiries. (Loved Laurel’s detailed advice here on the show!). Plus, Laurel dives into what it takes to build a multi-channel marketing strategy - something I’ve learned so much from personally. 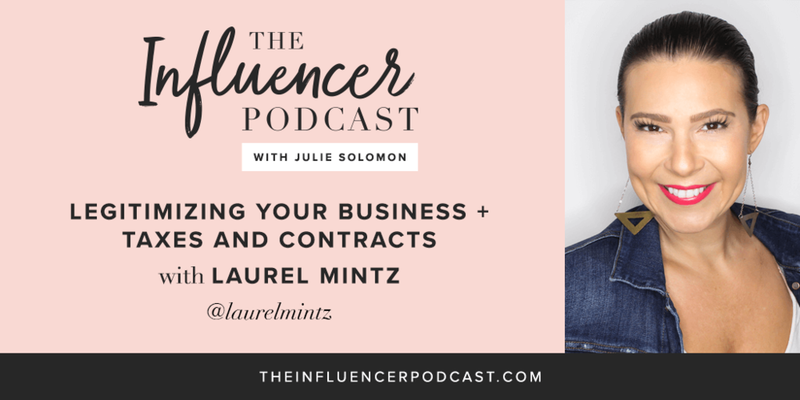 It’s time to legitimize our businesses for good, and I can’t wait for you to learn from Laurel. Get ready to walk away feeling confident, motivated, and way less stressed. Be sure to snap a screenshot and tag me and Laurel as you’re listening to the episode! And check out ElevateMyBrand.com for a free marketing guide at the top right of the site.